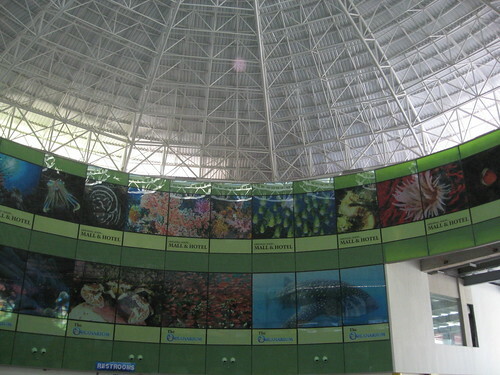 We finally had the chance to visit the Manila Ocean Park Oceanarium earlier this month. 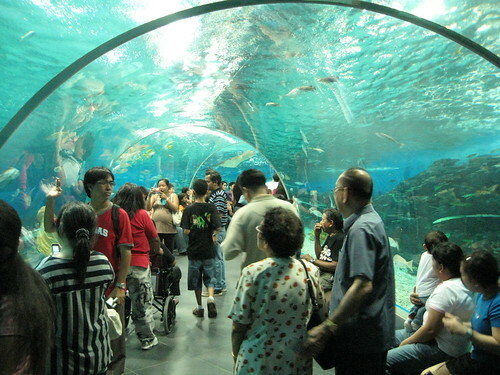 The entrance fee at 400 pesos is a bit steep, but the park offers discounts for the city residents and senior citizens. I am also happy to note that in spite the high ticket price, there were still a lot of people going to the park. 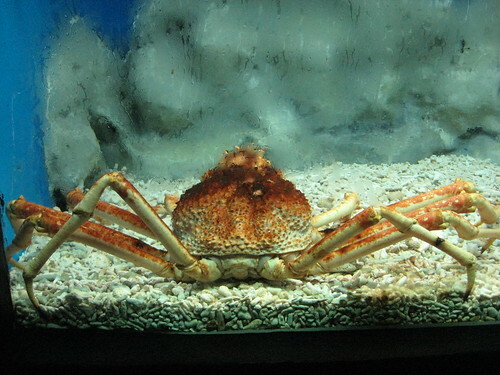 The park has several species of sea life, including a spider crab which can only be found in the cold waters of Japan. Highlight of the display is a huge tank and a tunnel where the people can immerse themselves in the abundant creatures from the deep. There are still a lot of construction work going in the park so we expect it to get even better in the future. I just read this morning that Olive Riley, considered as the oldest blogger in the world, died over the weekend at a New South Wales nursing home after an illness. She was 108 years old. Ms. Riley's posts contained a lot of childhood memories, such as how going to school was like 100 years ago. Her blogs give her followers a glimpse of what like was before the Internet, satellite and other modern means of communication made this world a global village. For that alone, she deserves a permanent place in the blogging world. In one of her latest posts, she wrote about how she regularly sing happy songs, with "Happy Days Are Here Again" as her favorite. Others contend that Ms. Riley is technically not a blogger because she doesn't type her entries herself. She has someone else type her posts for her. But that did not diminish the importance of her posts in the blogging world. She reportedly receives a lot of communication from as far away as Russia. 108 years. With the way I live my life, I don't even expect to live until 80. Hopefully I would live until my retirement and enjoy it for sometime. However, to live as long as Olive did would be like hitting a jackpot of heavenly blessings! Warning: Earthquake Coming this July! I haven't received it yet but there's so much buzz about an email circulating in Philippine cyberspace about a prediction of a very strong earthquake that allegedly, will hit our country on July 18. The "prophecy" says that it is so strong, 8.1 in the Richter scale, it will level Metro Manila and will bring about tsunamis in various parts of our islands. It must have been so widespread because last Sunday, we had a jolt and the Philippine Volcanology and Seismology Institute had to advise the public that the 5.4 earthquake has nothing to do with the prophecy. What really troubles me about this whole episode is not the prophecy itself but that people actually believed it. Wasn't it only three years ago when a similar prophecy was allegedly made by a visionary nun? Everybody was so concerned that our boss even sent us home early to be with love ones in case the tremblor actually struck. When will people learn that nobody could know when an earthquake will hit. Not even science, with all the strides it has made, could tell us when the ground beneath us will shake. Interestingly enough, there's a group of people who believe that one can actually know when an earthquake is imminent by looking at clouds. They say that clouds will take a different pattern before the ground starts shaking. These clouds were there, according to them, before the great quake in China but nobody took notice. So should we start looking skywards more often from now on? If everybody does that, I think the chances of getting killed looking at clouds will be greater than dying in an earthquake. Why? Because one might get hit by a car or slam on a wall while looking for earthquake clouds!